This bear has been almost finished for a few weeks. 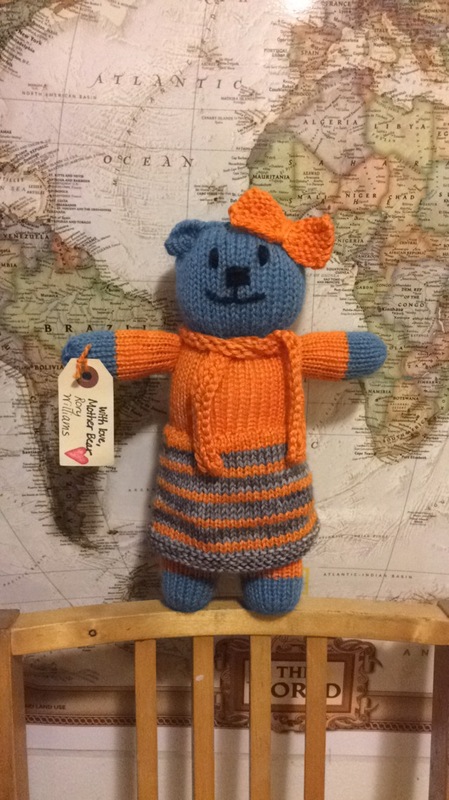 I’d been putting off finishing her, maybe to delay the excitement of finishing my 100th bear for the Mother Bear Project. Here’s Rory Williams! 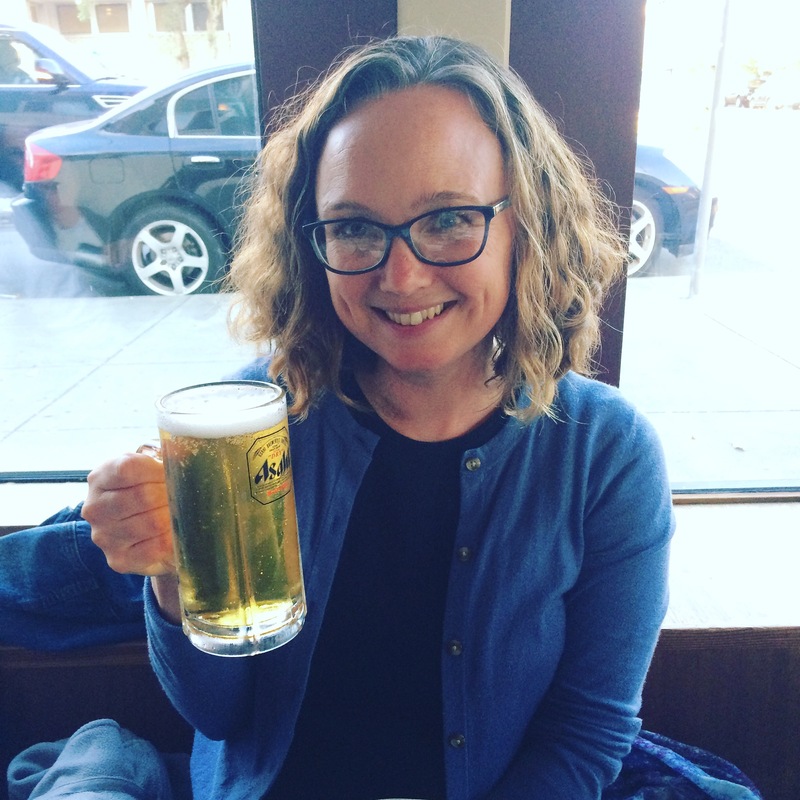 I turned 40! I’d been craving izakaya food, and my husband wanted to take me out for my birthday, so we ended up at Izakaya Sozai in the Sunset district of San Francisco. It was perfect! The food was really good, and we had a flight of sake which really made me nostalgic for my years living in Japan. We had just enough time left (babysitter clock was ticking) to dash over to North Beach to have a bit of dessert at Caffe Trieste. 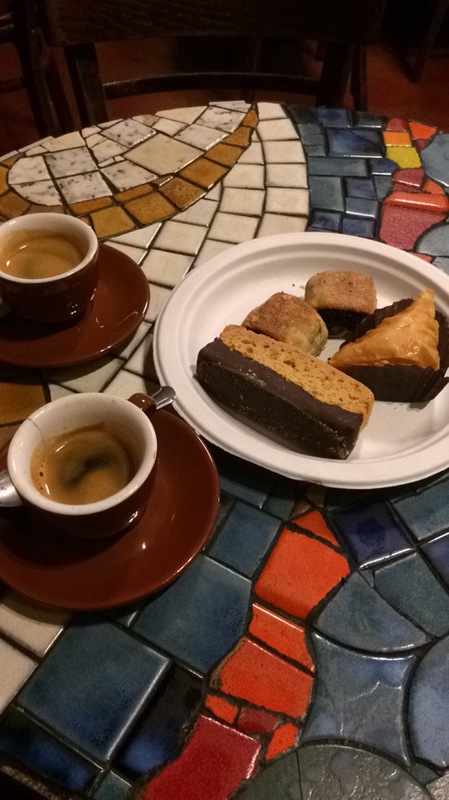 Biscotti, rugulah, and baklava. 40 feels ok! I’m tired due to a new job and all, but am trying to keep that creative spirit flowing! 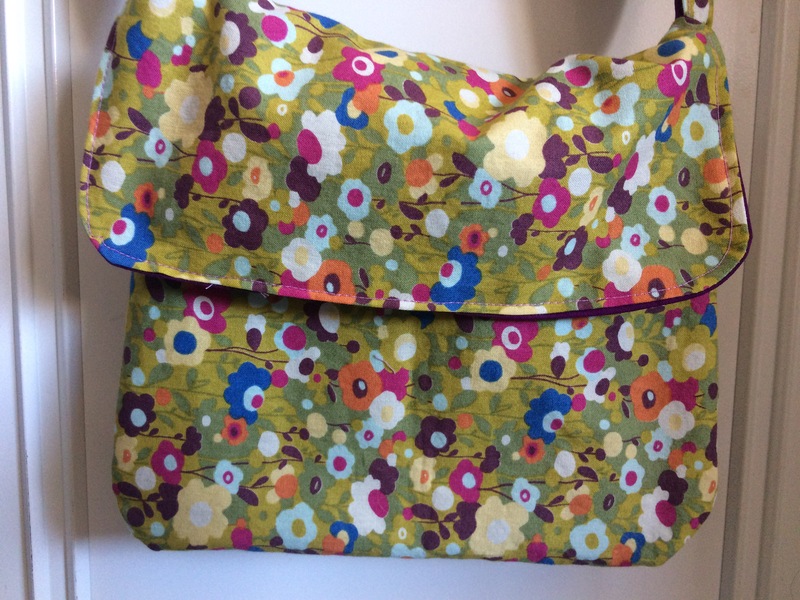 We had a kinder birthday today, and I whipped up a wee messenger bag for the birthday lass. The lining is purple, and it’s reversible! I fudged the strap placement, because I thought the straps were too wide for the wee space. I had to rip it out and finagle a ruched look. Hopefully I can perfect this, because I’m hoping to make some wee bags to wear around work when I don’t have a pocket for cell phone, etc. I lost!! I ran out of the Exploding Peacock yarn with about 9 garter ridges of the last wedge left. 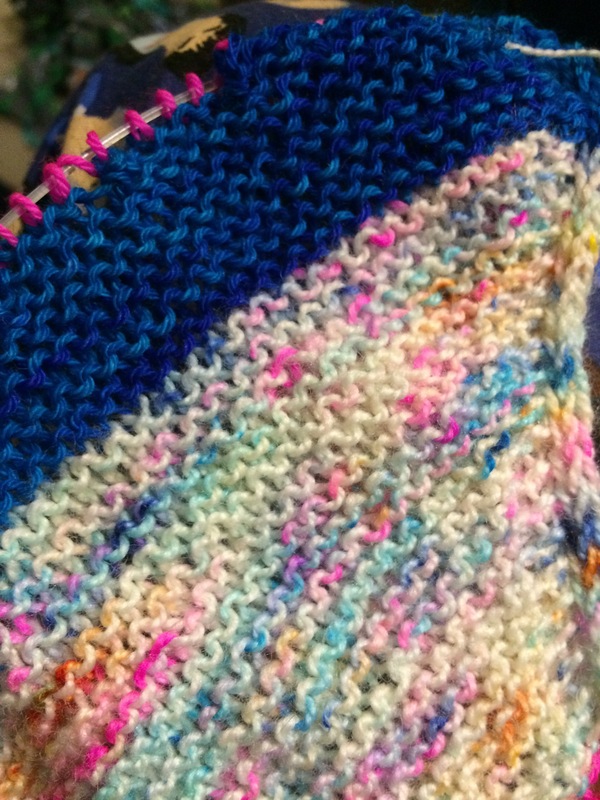 After consulting my knitting group, I decided to finish it in the blue (wavy edge color). I think it’ll look fine. 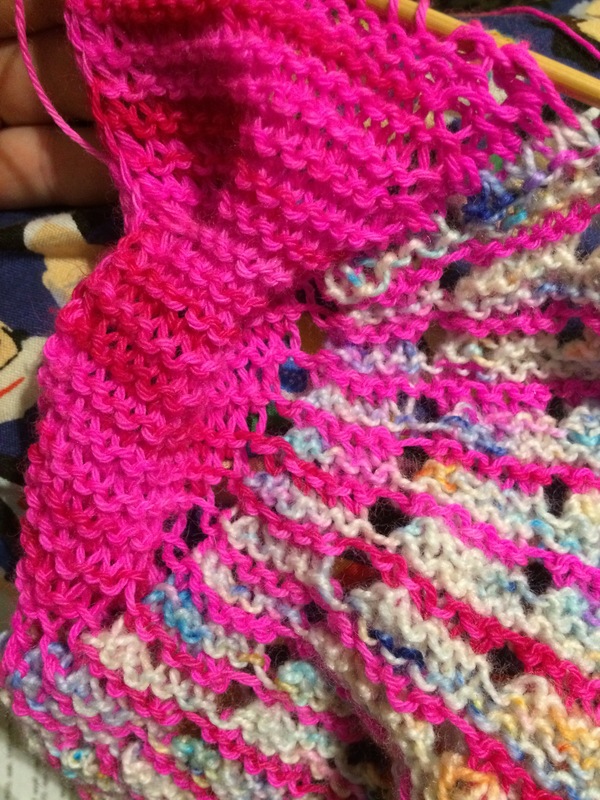 Having stayed up too late, I also had time to start the cables edging. After working all those increasingly long rows, this part is fun and satisfying! 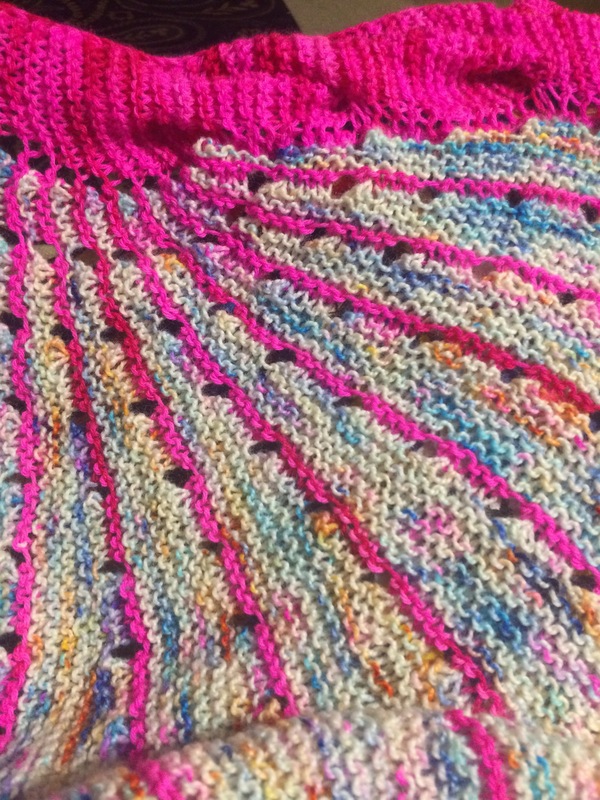 I’m on the last short-row wedge of my Doodler shawl. It’s 60 garter rows of shorter and shorter rows. 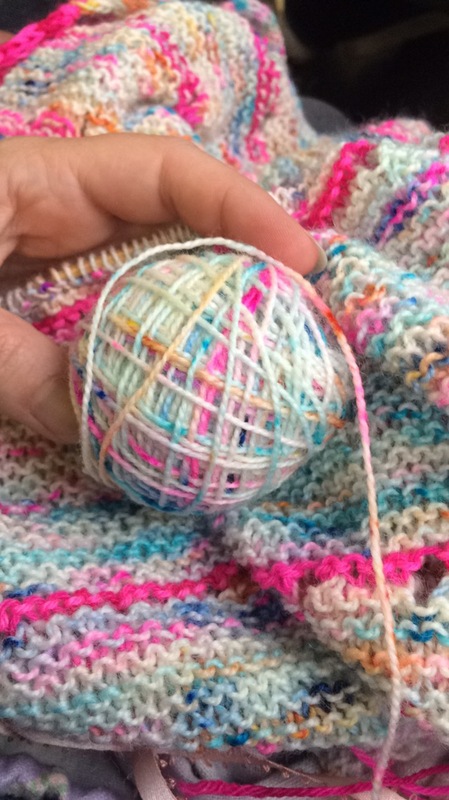 My yarn is almost gone. Will I make it?